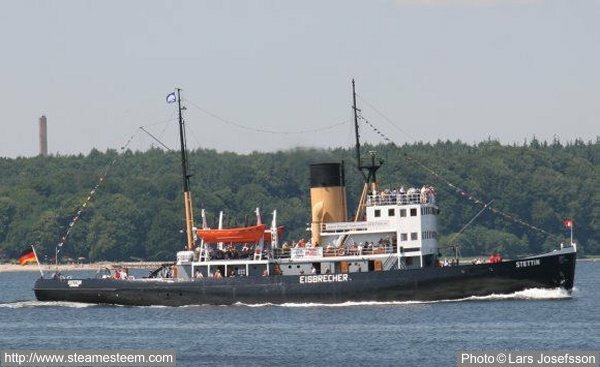 Until 1981, the steamer was in service and carried out numerous missions on the lower Elbe, the North Sea-Baltic Canal and the Kiel Fjord. With about 2000 hp to the propeller she broke up ice of one meter thickness. 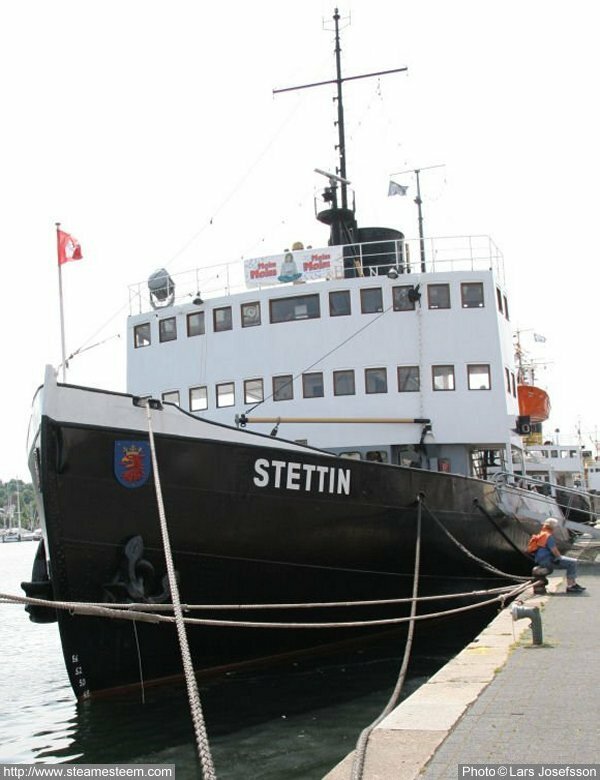 Since 1982, the Steamship Stettin is recognized as a technical cultural monument. The Icebreaker Stettin sails with tourists during the summer and serve the remaining time as a museum ship, by the Hamburg Museum Oevelgönne. The Icebreaker Stettin was conceived by her designers as a pure working ship. 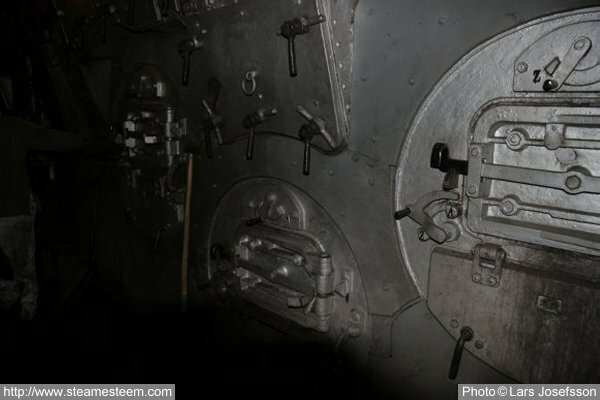 The seamen, engineers and stokers were housed in accommodations with six bunks separately for engine, deck and trimmers, in addition, there were two shared showers, separated by a wall. The officers were slightly better off, there were chambers with a maximum of two berths and wash basin available. 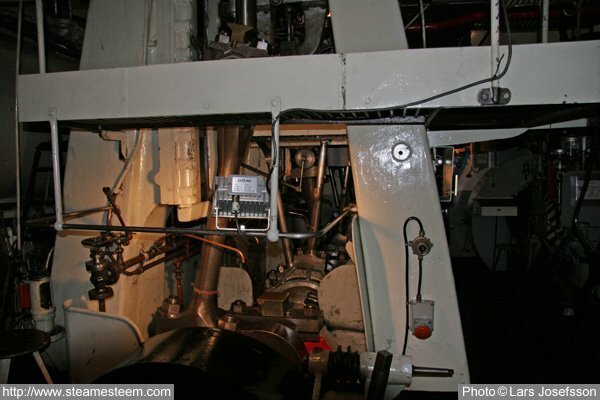 The port side Scotch marine boilers with its three furnaces onbord the Steamship Stettin. The Steamship engine's crankshaft with the connecting rod for the low pressure piston and the eccentric rods for the Stephenson's link-motion.